Running Press Kids, 9780762451920, 336pp. As a straight-A student with a budding romance and loyal best friend, M.T. 's life seems as apple-pie American as her blondish hair and pale skin. But M.T. hides two facts to the contrary: her full name of Monserrat Thalia and her status as an undocumented immigrant. With senior year of high school kicking into full swing, M.T. sees her hopes for a "normal" future unraveling. And it will take discovering a sense of trust in herself and others for M.T. to stake a claim in the life that she wants. 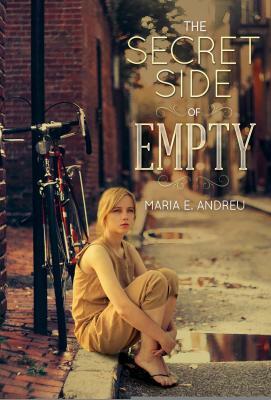 Maria E. Andreu is a writer and speaker whose work has appeared in Newsweek, The Washington Post, NJ.com, and the Newark Star Ledger. The Secret Side of Empty is her debut novel. Maria is a proud mother of two and an adoptive mother to various furry creatures. She was born in Spain, lived in Argentina for two years, and crossed the Mexican border into the U.S. at the age of eight. An American citizen due to the Immigration Reform and Control Act of 1986, Maria currently lives in New Jersey. You can visit her online at mariaeandreu.com.